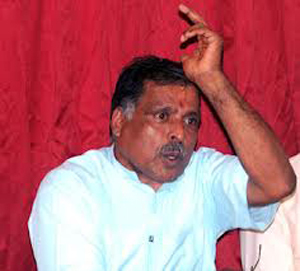 Puttur, Oct 7,2017 : The Judicial Magistrate’s Court of Puttur has on October 7, Saturday granted bail to Hindu Jagarana Vedike leader Jagadish Karanth. Karanth who was arrested in Bengaluru on September 30 on the charges of delivering an offensive and provocative speech against Puttur Police Inspector Khader, was earlier granted conditional bail hours after his arrest. It was alleged that Karanth made the provocative speech at a convention held at Kille Maidan, Puttur on September 15.